Renzo’s form of energy healing can help clear emotional blockages; provide a greater zest for life and instil inner peace and harmony. During a face-to-face healing treatment, old ‘negative’ energy patterns can be eliminated and so the person automatically feels lighter and much more energised. In recent years, Renzo has worked more and more with individuals to help get rid of ‘negative entities’ that may have become attached to a person, an animal or to even a place. The energy fields that surround our body and protect us have become much weaker over the last decade. This is due to the constant overload from daily exposure to electromagnetic frequencies such as that emitted from electricity, mobile phones, WiFi etc, which means we are each therefore becoming increasingly vulnerable to attack from invasive ‘foreign’ energies. This is why it’s so important that we each make sure we protect ourselves and our aura as much as possible every day. 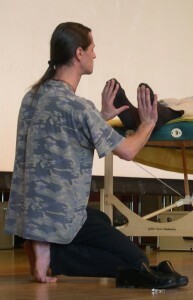 During a session, if Renzo discovers the presence of a negative entity, he will make contact with it, gather all the necessary information, and he will then use the appropriate clearance technique at an ‘energetic’ level. If such a clearance has taken place during a session, Renzo will also provide advice as to how to protect yourself, your animal and/or your property from future attack. Renzo has successfully treated patients suffering from headaches, migraines, stress, backache, joint pain and joint swelling, skin conditions, severe body pain and swellings, joint wear and tear, issues with mobility, negativity, mood swings, and aggressive behaviour. He has also helped with healing fractures, injuries, increasing mental alertness and concentration, increasing energy and stamina, reducing anxiety and instilling greater levels of confidence and focus. Please note that colour in its various forms and vibrations helps create balance and health in the human body. It is at Renzo’s specific request that all patients do NOT wear the colour ‘black’ during treatments. People tend to wear low vibrational colours such as black, brown or grey when they are depressed, and so it is advisable that patients resist this urge and pick higher vibrational colours to lift their spirits and vibrational frequencies. Each treatment can last anything between 40 to 90 minutes – depending on how much healing your body will accept in one single session. As Renzo treats you as an individual based on your own needs, treatment prices per session can vary between 1000 kr and 1500 kr (Norwegian Kroner). The price for your session will be advised once your treatment date and time have been confirmed to you. Please note that each treatment will be provided at the discretion of Renzo. For example, if he intuitively feels that you will openly follow his advice which will help you improve your future health, then he would love to treat you. Renzo passionately believes that we should each take the responsibility, obligation, and privilege to gain knowledge, wisdom and insight on how to have and how to maintain a healthy body naturally. So, if you’d like to find out more, or experience Renzo for yourself, please contact him today!